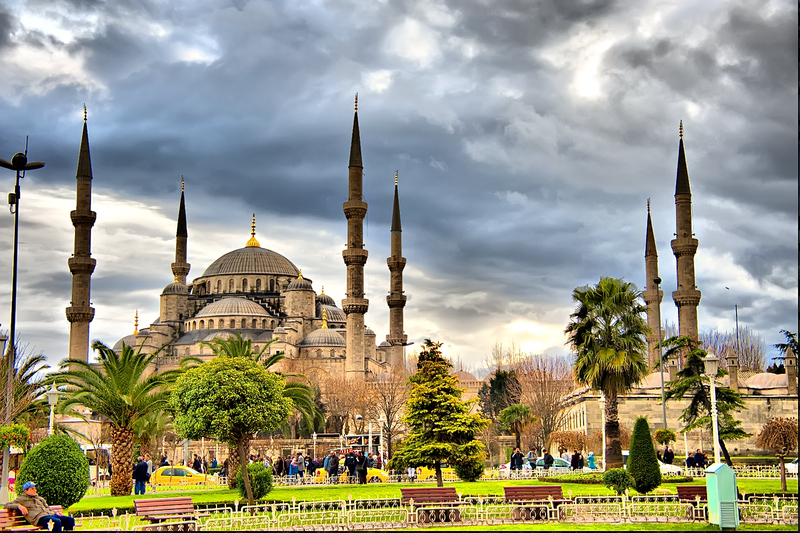 Istanbul, historically known as Constantinople and Byzantium, is the most populous city in Turkey and the country’s economic, cultural, and historic center. 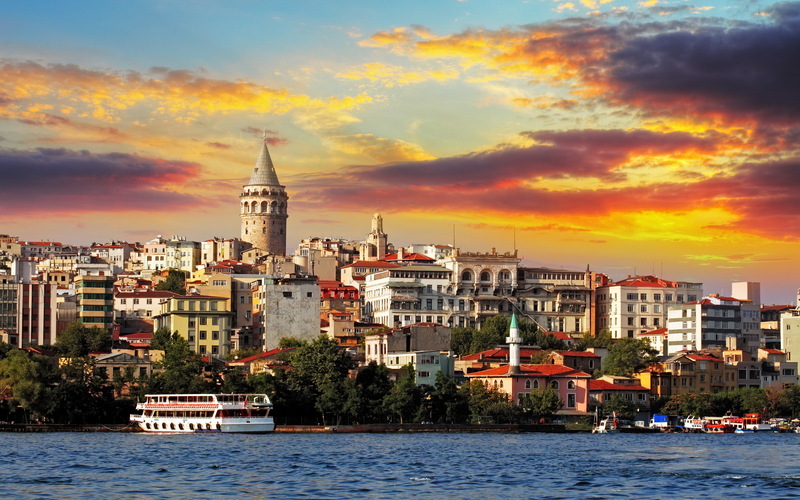 Istanbul is a transcontinental city in Eurasia, straddling the Bosphorus strait (which separates Europe and Asia) between the Sea of Marmara and the Black Sea. Its commercial and historical center lies on the European side and about a third of its population lives on the Asian side. 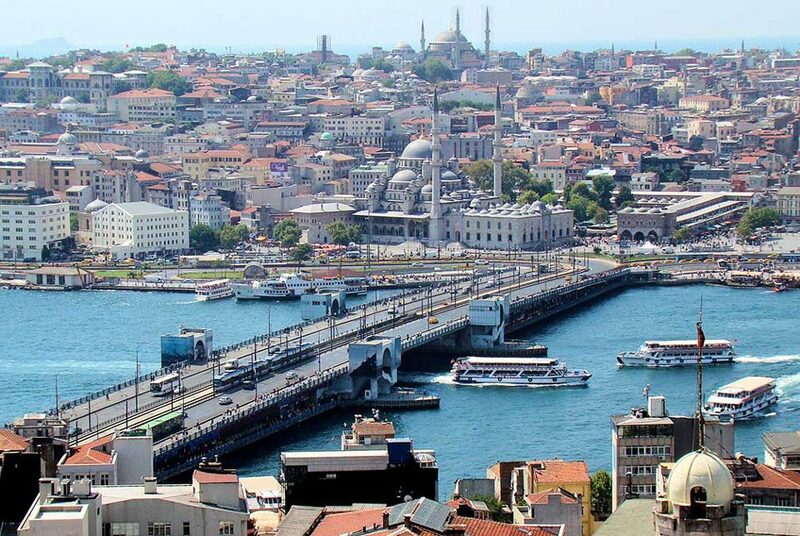 The city is the administrative center of the Istanbul Metropolitan Municipality (coterminous with Istanbul Province), both hosting a population of around 14.7 million residents. Istanbul is one of the world’s most populous cities and ranks as the world’s 7th-largest city proper and the largest European city. 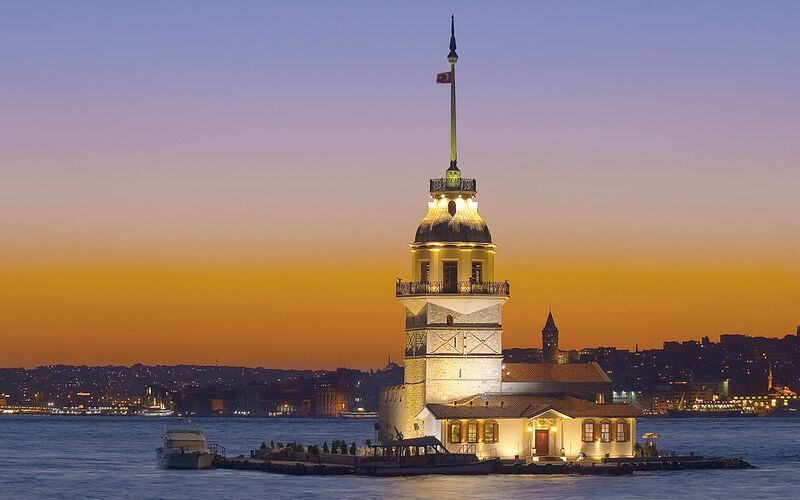 Istanbul is famous for its historic seafood restaurants. Many of the city's most popular and upscale seafood restaurants line the shores of the Bosphorus (particularly in neighborhoods like Ortaköy, Bebek, Arnavutköy, Yeniköy, Beylerbeyi and Çengelköy). Kumkapı along the Sea of Marmara has a pedestrian zone that hosts around fifty fish restaurants. The Prince Islands, 15 kilometers (9 mi) from the city center, are also popular for their seafood restaurants. 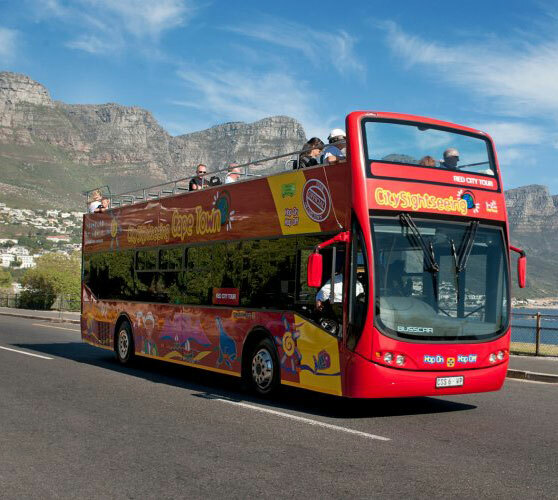 Because of their restaurants, historic summer mansions, and tranquil, car-free streets, the Prince Islands are a popular vacation destination among Istanbulites and foreign tourists. 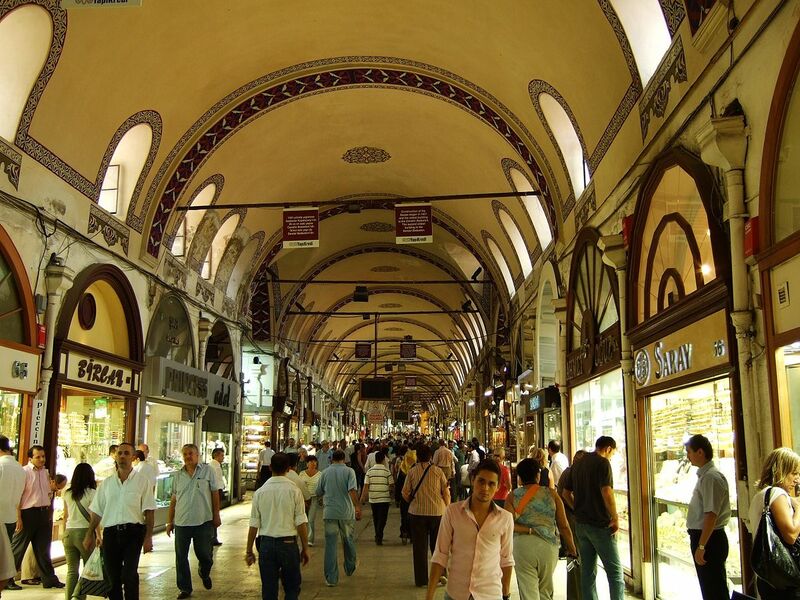 Istanbul is also famous for its sophisticated and elaborately-cooked dishes of the Ottoman cuisine. However, following the influx of immigrants from southeastern and eastern Turkey, which began in the 1960s, the foodscape of the city has drastically changed by the end of the century; with influences of Middle Eastern cuisine such as kebab taking an important place in the food scene. 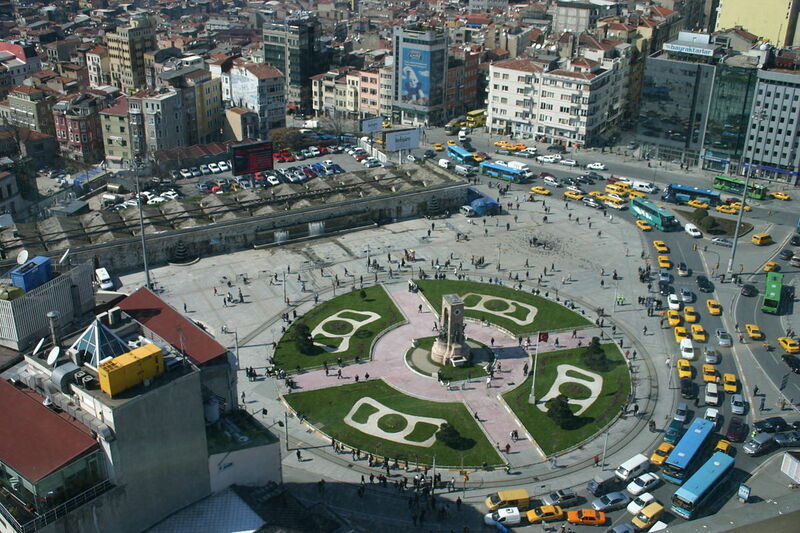 Restaurants featuring foreign cuisines are mainly concentrated in the Beyoğlu, Beşiktaş, Şişli and Kadıköy districts. Constantinople began to decline continuously after the end of the reign of Basil II in 1025. The final blow was given by the conquest of Villardouin and Enrico Dandolo in 1204 during the Fourth Crusade, where the City was sacked and pillaged. The city subsequently became the center of the Latin Empire, created by Catholic crusaders to replace the Orthodox Byzantine Empire. 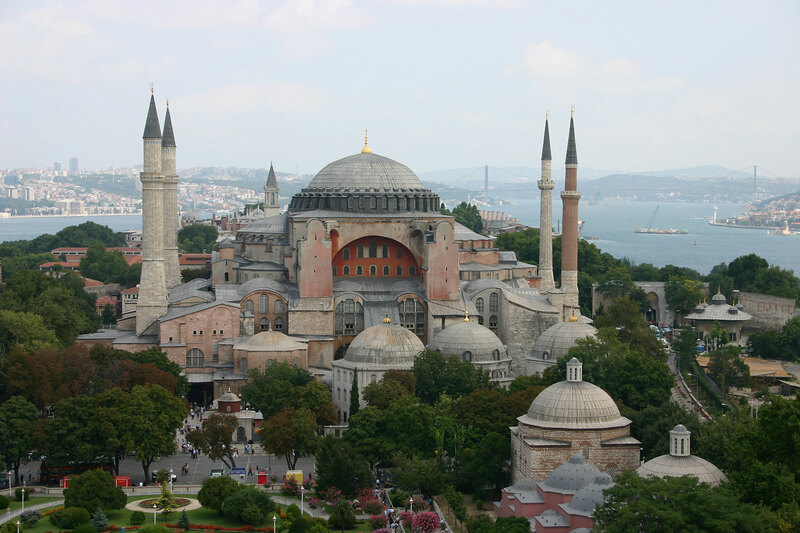 Hagia Sophia was converted to a Catholic church in 1204. The Byzantine Empire was restored, albeit weakened, in 1261. 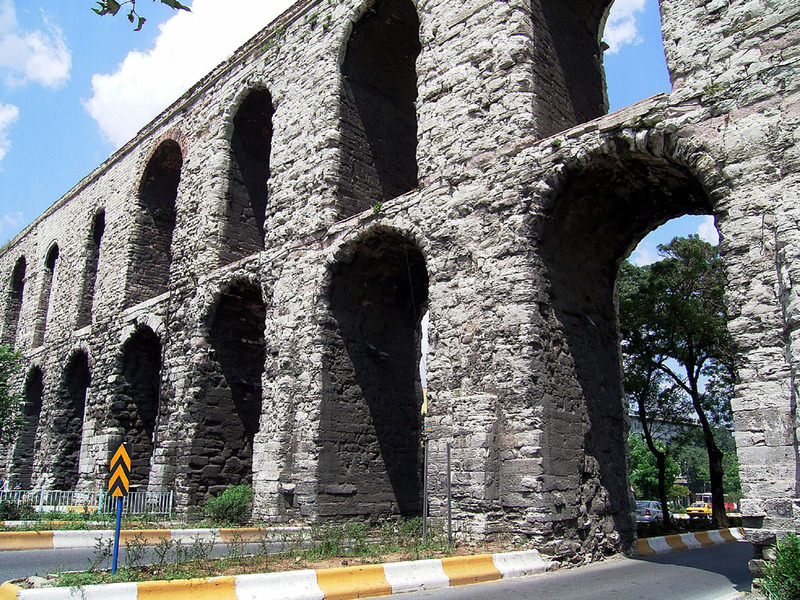 Constantinople's churches, defenses, and basic services were in disrepair, and its population had dwindled to a hundred thousand from half a million during the 8th century. After the reconquest of 1261, however some of the city's monuments were restored, like the 2 Deisis mosaics in Hagia Sofia and Kariye were created. Following the conquest of Constantinople, Mehmed II immediately set out to revitalize the city, by then also known as Istanbul. He urged the return of those who had fled the city during the siege, and resettled Muslims, Jews, and Christians from other parts of Anatolia. 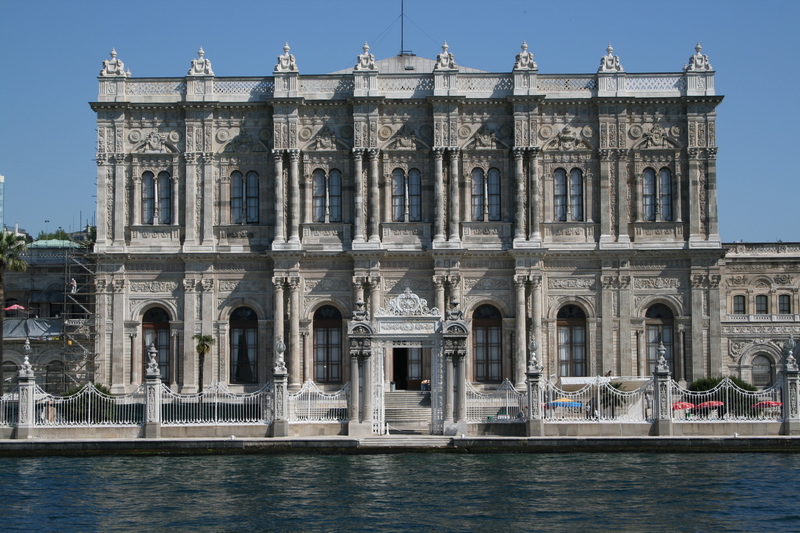 He demanded that five thousand households needed to be transferred to Constantinople by September. From all over the Islamic empire, prisoners of war and deported people were sent to the city: these people were called "Sürgün" in Turkish (Greek: σουργουνιδες). However, many people escaped again from the city, and there were several outbreaks of plague, so that in 1459 Mehmet allowed the deported Greeks to come back to the city. He also invited people from all over Europe to his capital, creating a cosmopolitan society that persisted through much of the Ottoman period. Plague continued, however, to be essentially endemic in Istanbul for the rest of the century, as it had been from 1520, with a few years of respite between 1529 and 1533, 1549 and 1552, and from 1567 to 1570; epidemics originating in the West and in the Hejaz and southern Russia. Population growth in Anatolia, however, allowed Istanbul to replace its losses and maintain its population of around 500,000 inhabitants down to 1800. 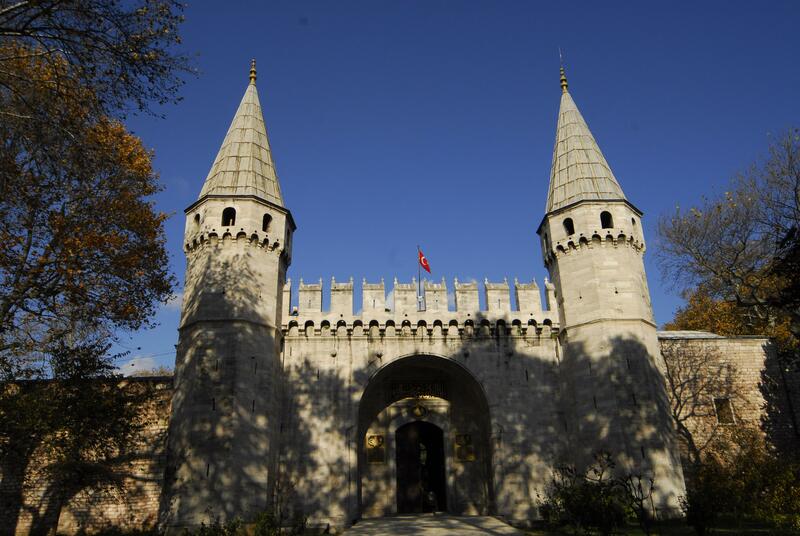 Mehmed II also repaired the city's damaged infrastructure, including the whole water system, began to build the Grand Bazaar, and constructed Topkapı Palace, the sultan's official residence. With the transfer of the capital from Edirne (formerly Adrianople) to Constantinople, the new state was declared as the successor and continuation of the Roman Empire. In the early 20th century, the Young Turk Revolution deposed Sultan Abdul Hamid II and a series of wars plagued the ailing empire's capital. The last of these, World War I, resulted in the British, French, and Italian occupation of Constantinople. The Armenian population of the city was also affected by the deportation of Armenian intellectuals on 24 April 1915, in which leaders of the Armenian community were arrested and mostly killed as part of the Armenian Genocide. To commemorate the victims of the Armenian Genocide, 24 April has now become the day of remembrance. The final Ottoman sultan, Mehmed VI, was exiled in November 1922 by Atatürk; the following year, the occupation of Constantinople ended with the signing of the Treaty of Lausanne and the recognition of the Republic of Turkey, declared by Mustafa Kemal Atatürk.